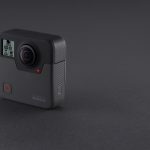 Home » Uncategorised » Want to win up to £6000 from your 360 video? If you have an awesome 360 film (or a great idea for one) and you want to be in with a chance of winning a share of £11,000, read on! Not only will your 360 videos be in with a chance of winning you some cash, but you’ll also be helping to further the cause of VR for Good as the competition is being co-hosted by a Hospice. Read the full press release below to see the details, rules and how to enter. Calling all 360 filmmakers: Want to use your 360 films for good & win a share of £11,000? LOROS Hospice & 360 filmmaker Alex Ruhl are hosting the world’s largest VR for Good competition to build a library of 360 films for people who need virtual reality the most. For the last year, LOROS & Ruhl’s 360 production studio CATS are not PEAS have been transforming patients lives in hospice care with 360 experiences. Now they’re looking for awesome 360 creators worldwide to donate their films to LOROS’ I Experience VR library and help take patients on their own virtual bucket list trip, give them some relaxation or generally entertain them! The best of the best will win £6,000 & a Mocha Pro license kindly donated by BORIS FX. Kandao QooCam vs Insta360 One: Which should you choose?